Author's Note: This post acknowledges human sexuality and recognizes the existence of reproductive organs. On Sunday night, I returned home from Origins, a 5-day gaming fair in Columbus, Ohio. For those 5 days, the Columbus Convention Center was transformed by game rooms, vendor booths, demo stations and food booths. Several restaurant in the area around the convention center modify their menus, renaming pretzel sticks to "Wands of Food Creation" and so forth. For 5 days, Columbus became the Mecca for gaming nerds and, being with several great friends of mine, I was in my glory. The games were incredible and I could write posts reviewing each one. I may do that at some point, focusing on the educational games that I picked up for my classroom. Unfortunately, it was not all light and joy. As one might expect, there is a severe diversity issue with a demographic that could spend 5 days sitting around playing games. The majority of the 16,000 attendees were white and male. Yes, there was a considerable number of women in attendance. Yes, there were a few people of color in attendance. No, I don't have the exact numbers and didn't see everyone who attended. By my estimate, not including women who were there with vendor booths, I would put female attendance at less than 10% and people of color at FAR less than 1%. In addition to all of this, the last few years in the gamer and comic community has seen a rise in the "Cosplay is not Consent" movement. 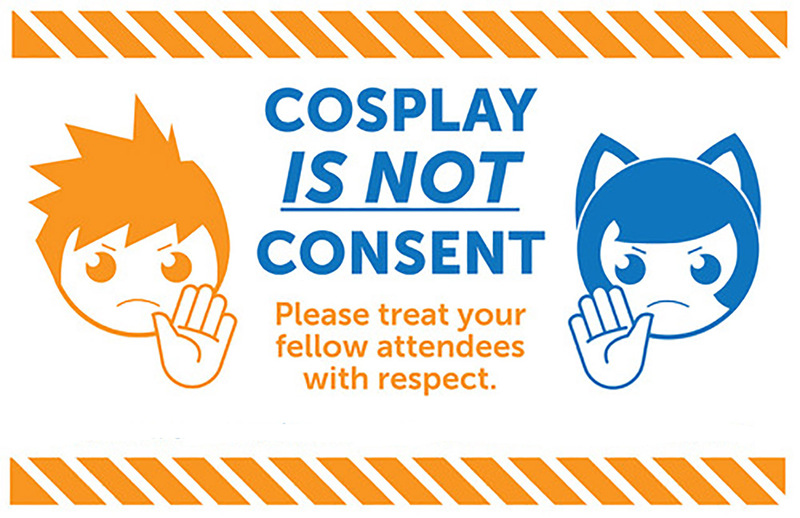 I'm continuously aware of this issue and, on the off chance that someone's costume is great enough where I want to verbally compliment them on it, I'm very conscious about how I approach and address female cosplayers and gamers. People derive power for their costumes. They wear them because they want to, not because they are looking for a convention center of mediocre white men to drool over their display of skin. This being my first gaming convention, I learned an incredible amount, not just about gaming, but also about my own style. The group with whom I regularly game is made up of very good friends. We know where our boundaries are. (Spoiler: There aren't really any.) On the off chance that someone crosses those boundaries, no one is offended because we know that it was unintentional. It is addressed, apologies are exchanged and we move on. When gaming with strangers, however, my humor changes drastically. It becomes much close to that which I use at school. I want everyone to have fun and I'm unwilling to give that up for the sake of a crass joke. 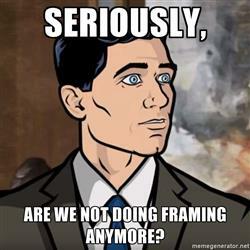 This came into sharp relief during one of my morning games. The group consisted of a good friend of mine and four other people, one of whom was female. Early in the game, the woman did something that, for the rest of the game, when she referred to it, the line between intent and innuendo was blurred at best. Since I didn't know her, I was unable to tell if this was intentional or accidental. When she talked about it, I made side eyes at my friend, whose thinking was on the same lines as mine, but we made no outward sign. Since she didn't know me, I was very aware that any comment I made may have either been received as intended, or pushed me into the masses of drooling, socially-inept male gamer stereotypes, focused on nothing but slaying dragons and gaping at breasts. In addition to this, the woman at the table was dressed in a costume that accentuated her breasts. Would a joke about her phrasing make her laugh? Would she appreciate it? Would it make her uncomfortable? Would my joke be the reason why she might not wear her costume next time? For all of these reasons and more, I decided to keep my jokes to myself. In the conversation about this situation with my friend later, we discussed how we wait for the others around us to set the line of appropriateness. We wait for strangers to make a joke and, whatever it happens to be, we make sure that ours remain on the side of civilized culture. This isn't because we are civilized, because Torg knows we aren't. Part of it is a deep awareness that a large portion of the conference attendees aren't even going to consider the feelings of others, not because they are bad people because it simply wouldn't cross their minds. I can't even imagine the experience of being a female gamer at a convention and I want to go out of my way to make sure I don't ever make that experience worse. Another major piece of it is that we are educators. Any educator worth their chalk recognizes that content is secondary to relationships. We build rapport with our students and they learn better as a result. We laugh and cry and joke with them because we are people and they are people and that's how those things work. But we are adults and they are children. They don't always know how to set the boundaries of what makes them comfortable and it becomes our job to do so. There are teachers who never joke and laugh with their students because they draw a VERY clear boundary between professional and personal relationships. There are other teachers who regularly spend time with their students outside of the class, involve them in their personal lives and treat them more like mentees and friends. The issue of boundaries at conventions is much more about those who cross them than those who set them. 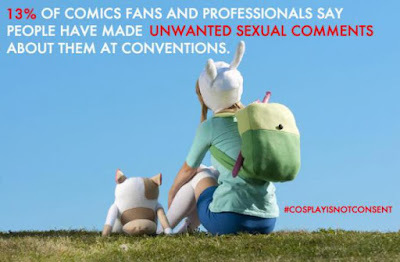 Cosplayers, especially female cosplayers, are well aware of how they look, the thoughts of those who see them and what they are willing to accept from strangers. Part of the purpose of school is to help students learn the idea of boundaries and how to politely interact with other people. Dress codes institutionalize this concept, for better or worse. When interacting with students, a teacher is (or damn well should be) constantly aware of boundaries. We don't want our students to be sexualized. We don't want our students to feel as though they can behave how they like. We don't want them feel powerless and out of control of their own lives. At a conference, it's easy to stay on the safe side of these boundaries by minimizing contact with others and simply keeping those jokes to yourself. As a teacher, however, we MUST build relationships. Without relationships, a teacher is simply a verbal text book and, therefore, not a teacher. Relationships require risk. There is give and take, joy and pain. The line is blurred and, arguably, must be. Students need to feel safe, but they also need to be who they are. Their personalities, needs, desires, hopes, fears and loves must all be recognized and addressed. Empathy is crux of a civilized society. Without it, we are savages fighting over rocks. Today was the last day of my 10th year as a classroom teacher. I spent my first two years in New Jersey before returning to Pennsylvania. After earning my M.Ed. at Duquesne University, I spent the next 7 years at Woodland Hills, just outside of Pittsburgh before moving to my new district at the beginning of this year. In all of that time, I have experienced a plethora of emotions at both the start and end of the school year. Most of those years have been a mixture of sadness at watching my students move on, pride at watching my students move on, and relief and joy at not having to get up at 5 am, worry about lessons, teen drama and being able to wear shorts, t-shirts and sandals. The last student day approaches, building to a crescendo like the wind in an oncoming hurricane. The winds of chaos increase steadily until that last day when garments are torn, teeth are gnashed, and everyone generally forgets that they are human beings. This year, however, didn't feel like that. Yes, there was unmitigated chaos. Yes, the hallways were a disaster of discarded papers, backpacks, hoodies, pencils and corny love notes. Last night, I helped out at graduation and was honored to watch the seniors walk across the stage. For some reason, it still didn't feel like the end of the year. I don't have the sense of closure that normally comes with cleaning out my room, packing up my stuff and saying goodbye to my coworkers. I wasn't alone. Numerous people today remarked that they felt the same way. It could be that without the typical 90 degree days, it doesn't quite feel like summer yet. We had a few meetings and a cookout for our retiring principal, but then we all went our separate ways with casual calls of "have a good summer." It's entirely possible that, since this district is a very small and tightly knit community with families interwoven for multiple generations that the separation between work life and social life is blurred for many of them. Almost 75% of the faculty live in the town where we teach, are alumni of the school, or have multiple relatives who live and work there. Knowing that the teacher down the hallway is your cousin and you'll be vacationing with them in a few weeks changes the dynamic drastically. I am excited for summer. I am ready to spend the days with my own children. I am ready to attend the various conferences and do some travelling. I'm also not ready for those things at all. I feel confused about my feelings. Rather than feeling as though I sprinted over the finish line, it seems as though I fell asleep during a movie and woke up during the credits. I have no way to account for this. It's a wildly unsettling feeling. Regardless of how I feel, however, year 10 is in the books.